Dear Readers, Welcome to our new English Learning Session, which is going to be a great opportunity to improve your skills for English section in competitive exams. Before introducing the English Learning session, you should be very clear about the need of this English session. 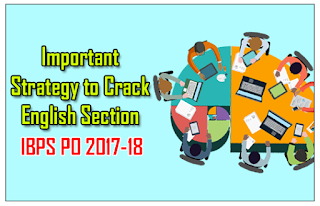 Many of us are saying, nowadays competitive exams are getting harder but the real fact is aspirants are not improving themselves based on the present scenario; they are not ready to change their preparation methodologies. Without updating and sticking with old methods, making you to feel hard. Why Special Focusing is required for English Section? Many of the Banking Aspirants were facing trouble to score good marks in English Section, even people those who scores 90% marks in other sections are also facing the same problem with English. They had fixed in their mind that English is “The Hardest” part in the exam. Then this kind of pessimistic thought making them to decide, scoring minimum mark or getting just pass mark in English section is enough, after making this kind of decision they are spending less time for English section every day. At a point they stopped preparing and practice English Questions, and they will refer English only just before the examination. Unfortunately this will lead them to get very poor marks. To overcome this mind set a special focussing is required on English Section. Just to have a daily touch and a daily practice. 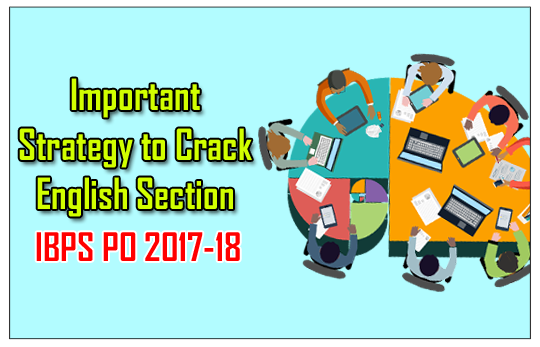 By analyzing all the above factors, we and with our English Experts, have planned to start a new English Learning Session specially for the aspirants those who are very ambitious to crack the upcoming IBPS PO/Clerk Examination 2017-18. · This Session will be conducted on daily basis, Aspirants those who are following us regularly can get a clear view on how to start preparation topic wise and important tips to approach each questions. · We will also cover Grammar and Grammar tips, we will provide Preparation tips on Each topics in English Section such as RC, Cloze Test, Error Spot etc,. 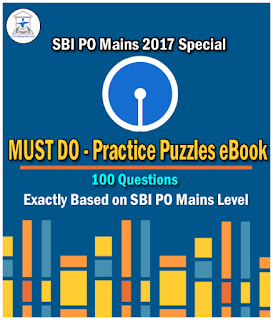 · New Pattern Questions will be discussed and explained clearly. · Follow this session regularly and this will help you to make it as a routine habit and daily you will learn something which is more important and will help you to improve yourself. · Time management tips also will be given in this session. Because, aspirants don’t have a clear idea to utilize the time effectively. · If you have any doubts or suggestions about the session you can ask us in the comment section, special monitoring has been made to respond for the queries. For More Updates Kindly follow us daily, and share this news to all your friends.